Renowned writer Alan Moore has hit out at Northamptonshire County Council proposals which could see as many as 28 libraries in the county closed, accusing both the country's and Northamptonshire's leadership of squandering money. 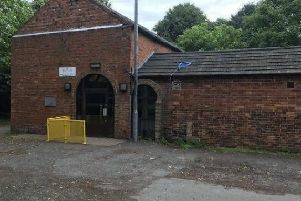 Earlier this week cash-strapped council chiefs revealed a series of early budget proposals they say will save the authority £9.6 million, among which were plans to "redesign" library services across the county. Three proposals were put forward: the first of which will be to invite community groups to run 21 smaller libraries around the county, saving the council £290,000 next year, while options two and three, however, would involve simply shutting the doors of up to 28 book lending premises in Northamptonshire. “This is completely unacceptable and completely monstrous," said Northampton-born Mr Moore. "This is in a period where having squandered all our money locally and nationally, our leaders are apparently expecting us - the most vulnerable people - to pick up the tab. “This is happening by means of our basic facilities being taken from us and closed down at a time when apparently it is fine for the Prime Minister to hand £1bn to the DUP in order to prolong her own political career. “This is at a time when the NHS is looking at a very, very dicey winter for lack of funding - and we’re not talking £1bn in funding, we’re talking a few million here, a few million there. “The priorities of this council are appalling. When they have managed to turn a lot of the town into a post-apocalyptic disaster movie, when the Upper Mounts looks like Sarajevo in the 1990s, then how can it be acceptable that beyond this they are also closing down the one means that many people have of actually properly educating themselves. “The facilities that I relied upon when I grew up in a house that didn't have many books... but there was always the library. “It was a treasured institution that made me what I am. Mr Moore, 63, believes libraries offer a vital service to those unable to access reading material, citing memories from his childhood as an example of the benefits he found in within them. “I’ve got immensely fond memories. Because I could read when I was five and I heard about libraries when I was five, I was getting my mother to take me up there once or twice a week so that I could take out four books, that was the maximum you could borrow at any one time. And I would read them within three or four days and come back for some more. That was where I read most of the books that inspired me. He added: “The reason why I don’t visit the library as much these days is because - shamefully - I’ve probably got more interesting books in my house right here. But in a world increasingly accustomed to reading off tablets, ebooks and smartphones, some might argue that the need for libraries is less great then it used to be. “Personally I think there’s even more need," said Mr Moore, who confessed that he was not a big fan of technology. "Yes I accept that this revolution is here and is here to stay, but I think you should underline there is a massive difference between knowledge and information. “You don’t really need to know anything because you can look it up, and that is fine… until you get a power cut. “In the power cut, what do you actually know?